One of the first things that comes to mind after a diagnosis of any condition is your future and how the condition may affect you as it progresses. Arthritis is a lifelong condition which is usually diagnosed after you have already experienced many of the key symptoms such as joint pain and swelling but understand other elements of the condition and how it may affect you in other ways will help ward of panic or worry in the future. The majority of people with arthritis have both bad and good days where the condition affects them in different ways. The severity of the pain and symptoms you experience as well as how long they affect you may be influenced by your personal lifestyle choices as well as the particular type of arthritis you have. 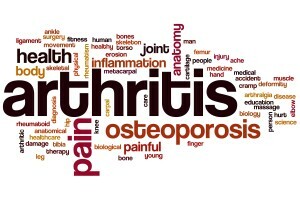 Almost all people living with arthritis with suffer some degree of discomfort, joint pain, stiffness and fatigue. These symptoms can also lead to more frustrating problems such as loss of strength or gripping ability and dependent on affected joints it can also affect mobility. It is never recommended for people living with arthritis to give up being active as long periods of inactivity can make symptoms worse but there is a need to adapt and change your lifestyle in some ways, to ensure the condition is well managed. Managing your arthritis is something which you can get medical advice about but more than anything else you need to be committed to ensuring the condition is a part of life and doesn’t take over it. Dependent on the level of pain you live with this can be difficult but there are ways you can help keep it in check with the right pain relief, light exercises, a healthy diet and understanding your own limitations and when it is necessary for rest. Medical advice and support can help you understand the potential outcomes and your prognosis but a lot of how your arthritis progresses and affects you can be down to your lifestyle choices and the way you choose to manage your condition.